The Obama administration is pushing ahead with a plan to require cleaner gasoline as a way to reduce smog, with the Environmental Protection Agency releasing preliminary rules Friday to reduce sulfur in gas. The rules would take effect in 2017, and their full impact would be realized a decade later, according to the EPA. An EPA study said the new rule could save 2.000 lives a year and cut back on childhood asthma. "We estimate the rule will reduce smog by 30%" when fully implemented, said Bill Becker, executive director of the National Association of Clean Air Agencies, which represents air quality control agencies around the country. Poll: How much would you pay for cleaner air? A big point of contention is how much the tougher rules would add to the price of gas. 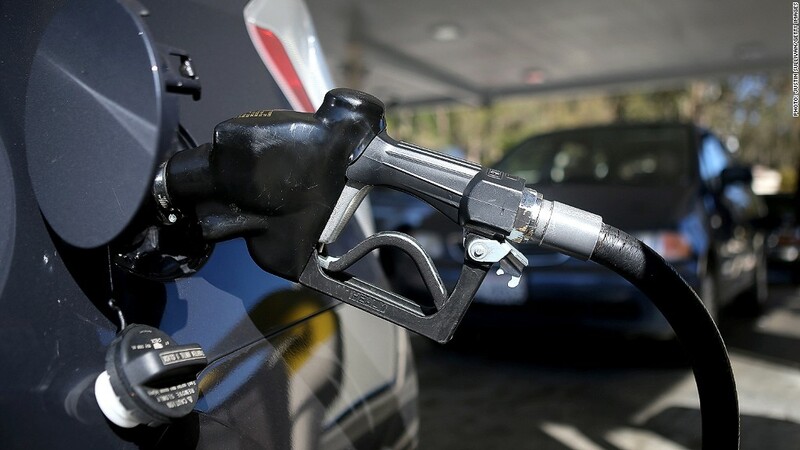 Refinery and oil and gas industry groups have said such a move would force motorists to pay nearly 10 cents more per gallon, based on a study by energy consulting firm Baker & O'Brien. The White House says the move would add less than a penny a gallon, based on an EPA study. Representatives of the energy industry disagree. The rule targets sulfur, which occurs naturally in crude oil. The more sulfur, the less efficiently a car runs. The rule would force refineries to reduce sulfur content by more than 60% to 10 parts per million from 30 parts per million, the EPA said. The National Association of Clean Air Agencies estimates the rule would have the same effect as taking 33 million cars off the roads. "We don't know of another air pollution strategy as effective to clean up the air," Becker said. Refineries that serve California, the European Union and Japan must already meet the tougher sulfur rules. The Sierra Club praised the plan, with executive director Michael Brune saying in a statement that it uses existing "technology to clean up our fuels and our cars." The rule was developed with advice from the refiners and car manufacturers, as well as state officials, according to an Obama administration official. Of the 111 refineries to be covered by the rule, only 16 will have to make major investments in new equipment to abide by the rule, the official said. "Today's proposed standards -- which will save thousands of lives and protect the most vulnerable -- are the next step in our work to protect public health and will provide the automotive industry with the certainty they need to offer the same car models in all 50 states," said EPA Acting Administrator Bob Perciasepe in a statement. -- CNN's Dan Lothian and Jessica Yellin contributed to this report.